Do comedies need to be sensible to be funny? YES! But not in the case of ANDAAZ APNA APNA. This movie is hilarious, tough I should point out that, this movie was a big flop back then, but now hailed as one of the best Bollywood films ever made. It has a steller cast, from AAMIR KHAN to SALMAN KHAN. It may have few flaws, and sometimes unrealistic, but I cannot ignore the fact that this is so enjoyable every time. It even has a funny twist. Lots of Bollywood comedies today, have taken lots and lots of inspiration from this film, but they won’t be able to match this. Some elements of it might have aged, but its laughter is still evergreen. If I want to watch a enjoyable film that is of Bollywood, I would surely pick this one. One of the most inspirational movies of Bollywood, this is not exactly a WAR film, it’s a journey of man, who dosen’t know what to do in life, tough he is rich ;). He decides to go to army, and then certain events happen, really this film is really inspirational one, I just feel the hype of the inspiration, when I watch this film. For me, it’s like THE SHAWSHANK REDEMPTION of Bollywood (I’m not comparing, don’t get me wrong :P). Where was he in life, and now where he is, Every time I watch this film, I just start to have vibes of to do anything LOL. It is a film that I almost watch every REPUBLIC DAY. Now, the movie which got OSCAR NOMINATION for India after a long time, and also ROGER EBERT named this film in his Top 10 Films Of 1988. What I love about it? Everything. This is a heart wrenching and very realistic crime-drama. CRIME is not it’s first genre, it gives importance to the dramatic elements more. Mira Nair, has been making INDIA proud, she has made many GREAT films after this, but for me this stays her best. This has a very simple plot, three boys and other children leaving in the streets, this is the story about them. But that’s not it, so much happen in this simple plot, is what makes this film GREAT. It is so well structured, and pacing is unbelievable. This movie is one of the best INDIAN films ever made and it is all about INDIA. I still remember the day it came on television I wasn’t interested at all, but it was quite known and I have heard of it, I started watching it, and ended up watching it all, that is how much this film takes you in it. This movie can change the way you think about life, YES, truly. It tells the tale of three friends each facing some consequences, they take a trip to SPAIN and then it changes there life in a way. That may seem, Oh’ okay, but trust me this movie is a very inspiring one, you can learn a lot from it. This has rewatchable factor as well, this is poetic at times, much like a MALICK film. Also, this is directed by a women, which is quite an achievement. The small poems/words spoken by one of the main character’s are so true and subtle. It is a movie about friendship, love, family, marriage, betrayal and a lot of other thing’s. This is like a complete movie. Now, watched it 5+ times, I’m still ready to watch it again. The only film on the list which is arguably hailed as the greatest Bollywood film of all time, tough I don’t think so, cause this is not no.1 ;). Now, I think post-2000s or 21st century films of Bollywood are slightly better then before it, but still I just cannot ignore the fact, that PYAASA is a masterpiece. This film was included in the top 250 of SIGHT & SOUND POLL, this movie hasn’t aged at all, even tough it is black and white, but it’s evergreen, it’s an eternal classic. GURU DUTT, was master at his work, and he proved it, by this film itself. 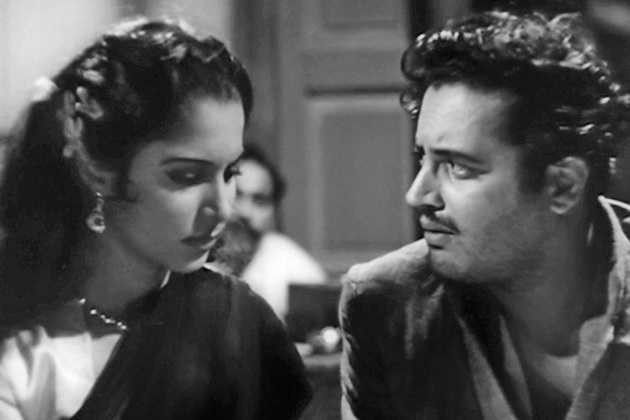 All I could say is this PYAASA is few, one of those Bollywood films of pre 21st century that I love and adore. Vishal Bhardwaj, is one of the best directors working today in Bollywood. And he is probably my second favourite director after ANURAG KASHYAP, of Bollywood. It was hard picking one film of his, but it had to be his latest adaptation of SHAKESAPRE’s OTHELLO . I watched this in theatre, and was stunned by it. It has top-notch performances, cinematography is like one of the best I’ve seen in Bollywood. I love his MAQBOOL & HAIDER, but OMKARA is the movie, which I adored, with it’s first viewing itself. This film is path-breaking and one of the strongest film ever made in Bollywood. It is full of dark-tone, it has humour but that also dark, which I always love. This movie shows, what jealously could do to a man. It has lots of political things involved in it. Bhardwaj ultimate un-official trilogy is really a next level, thing picking one was difficult but OMKARA stays a classic, and a film which I won’t forget so easily. The film that gave India an OSCAR nomination, also it was pretty close to winning, but leaving that, whenever I watch this film, I end up caring for the characters of the film, so much. This movie is 3 ½ hours long, but it dosen’t feel like that even once. This really is one of the best films about sports. The journey from not knowing not even what is bat or ball to learning the game ”CRICKET”, and challenging a team who play this game almost everyday, it is their game. The people challenging are poor farmers. This is based on such an interesting plot and it so well executed. The history and time is shown beautifully, Ashutosh Gowariker is a talented filmmaker, and this is his masterpiece. Whenever, it is coming on T.V, I just cannot change it without seeing the whole movie, that is how much I love LAGAAN. Now, YES, you might see only one KASHYAP film uptill now, but wait till the top and you’ll see more ;). He is the only filmmaker I love from Bollywood. UGLY originally came in 2013, it also premiered at CANNES in DIRECTORS FORTNIGHT section. But, then it later got released in 2014. The first time, I watched this film, I said WAIT, what? I won’t spoil but, this film is really more about something else, then what they show us. Kashyap has himself stated that, this is his by far biggest accomplishment. I could clearly see inspiration taken from masterpieces like CACHE’ & FARGO. This film has very dull and dark tone which I’m a big fan always. This is by far (in my opinion), the best mystery-thriller. Out of all 10 films listed, I would say, this is the most suitable for WESTERN audiences as well. Now, I may sound like a different guy, as this is a slightly disturbing film, but I have watched it many times, and it is as new or fresh as the first time I watched it. The only director who I can think of having two or more ;) movies on my list is the “GREAT” Anurag Kashyap, I broke the rule of one per director, just because I love his films so much, this is his official debut, tough it was PAANCH but it’s still unreleased so, therefore. BLACK FRIDAY had a lot of controversies surrounding it because of it showed everything real, and used real names as well. But in the end the result was brilliant. 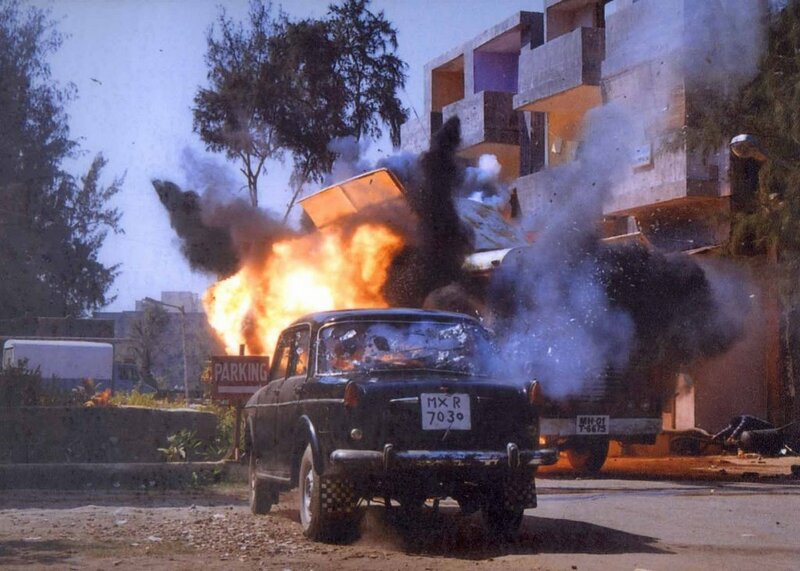 This movie is DARK, and it shows the bomb blasts that took place in BOMBAY now better known as Mumbai back in 1993. This movie is told in chapter-wisation much like a TARANTINO film. It even lets you feel for the bad guys, that is one of the most difficult thing to do, but not with KASHYAP. Again, as most of KASHYAP films this is very different then what a usual Bollywood film is. This is extremely well paced, and the BOMBAY they created is much better then what most films showcase it, the chase sequences are brilliantly shot, and it even has dark humor. It has some of breathtaking scene’s. I love this film to the fullest. What else could have topped the list, if you know me well, you know I adore this film. ANURAG KASHYAP is my favourite director from Bollywood, and this is his masterpiece. This movie is known world-wide as in it’s in IMDB TOP 250, ROGER EBERT’s site gave it 4/4 stars, it went to CANNES in the DIRECTOR’S FORTNIGHT SECTION. Leaving that aside, I can watch this film anytime and anywhere. It is 320 minutes long, but now seen it 15 times already, and I enjoy it every single time. Violence, I LOVE, and this has perfect amount of violence in it. This film involves a lot of political things in it, which so well told, that it is easy to understand! It has no crap songs, no dance and all, which almost every Bollywood film has, but it instead has GREAT songs in between a sequence. It has so many great scene’s that I watch once a week, no really it is full of dark humor as well. If not all movies in my list, when I think you should all :P, at least give this one a viewing. That wraps up the top 10, now I included only 3 movies for KASHYAP which I love the most, but besides this list and the honourable mentions given below, I love anything done by ANURAG KASHYAP which includes- DEV D, RAMAN RAGHAV 2.0, NO SMOKING, GULAAL, PAANCH, THE GIRL IN YELLOW BOOTS, BOMBAY VELVET & also his animated feature, I watched it as a kid, and enjoyed RETURN OF HANUMAN. # PAAN SINGH TOMAR - Tigamanshu Dhulia's utlimate best, probably best biopic made in bollywood, atleast my favourite one for sure. # RANG DE BASANTI - Rakeysh Omprakash Mehra's masterpiece, one of the greatest bollywood film ever made. # LAGE RAHO MUNNA BHAI - Rajkumar Hirani's best, I know he made 3 Idiots but this one is so "GREAT". # HAIDER - Bhardwaj latest film, is easily his second best for me, just right after OMKARA. # MAQBOOL - Irrfan Khan + Vishal Bhardwaj = Perfection. # DIL CHATHA HAI - Faran Akthar best movie, IMO but for me second favourite after LAKSHYA, tough this is probably the best film about friendship in bollywood, ZMND took alot of inspiration from this one. # A WEDNESDAY - Neraaj Pandey's debut, but still his best and my favourite. # THE LUNCHBOX - WOW! Unique film, loved every bit of it. # KHOSLA KA KHOSLA - Baneerje's comedy-drama, Brilliant. # SWADES - Gowariker made his second masterpiece just right after LAGAAN. # CHAK DE! INDIA - One of the best film made about sports, very well executed film. # HERA PHERI - Watched this movie more then 7-8 times, still enjoyable as the first time. # OH! MY GOD - Such a down to earth film, but such a lovely one. # MOTHER INDIA - EPIC! # SHOLAY - Known as the GREATEST bollywood film, but for me its that low, but still GREAT. # BANDIT QUEEN / MR INDIA - Shekhar Kapoor's two ultimate masterpieces. # AGNEEPATH (ORIGINAL) - A flawed film, but it such a powerful one. 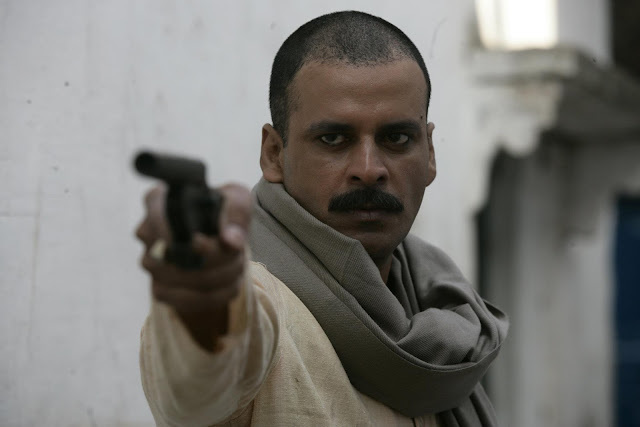 # SATYA - One of the greatest GANGSTER film of bollywood. # GARAM MASALA - Oh, I can watch this film any time, such a brilliant comedy. # JO JEETA WAHI SIKANDER - I regret not including this in the original list, LOVE this film so much. # MUGHAL-E-AZAM - Two words for this a CLASSIC & a MASTERPIECE. # ROCKSTAR / JAB WE MET / HIGHWAY - Imtiaz Ali and his movie, adore him. # UDAAN - Epic tale, one of the most realstic bollywood film ever made. That's it folks, I know- but I think 21st century films of bollywood are slightly better then the one's before it, some of bollywood films haven't aged well, but 21st century stuff is top-notch, that's why you see my list didn't had many pre-21st century films. Directors like KASHYAP, GOWARIKER, BHARDWAJ have raised the level. WOULD LOVE TO KNOW YOUR LISTS!